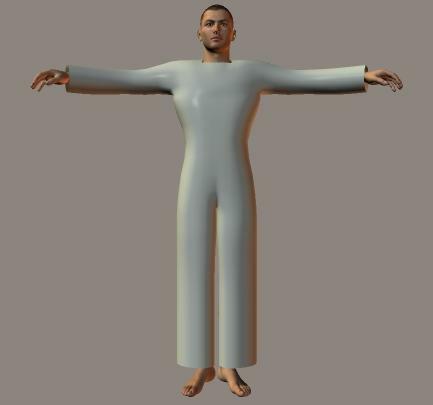 Description: This is a starter suit to be used as base model for creating clothing for DAZ3D's Michael 4 figure. There is a .hxn version for use in DAZ3D's Hexagon and a .obj version for use in other modeling applications. The .obj file is at Poser scale and the .hxn version is at a import scale of 500 (export at 0.002). cvaulx (10 years ago) Inappropriate? After a five year break away from Poser and the 3d world, your starter set is just what I needed to get me up and running again. Most appreciated. Thank you very much! DiYanira (10 years ago) Inappropriate? Teri (11 years ago) Inappropriate? infinity10 (11 years ago) Inappropriate? Thanks very much for this ! Axe Swipe (11 years ago) Inappropriate?